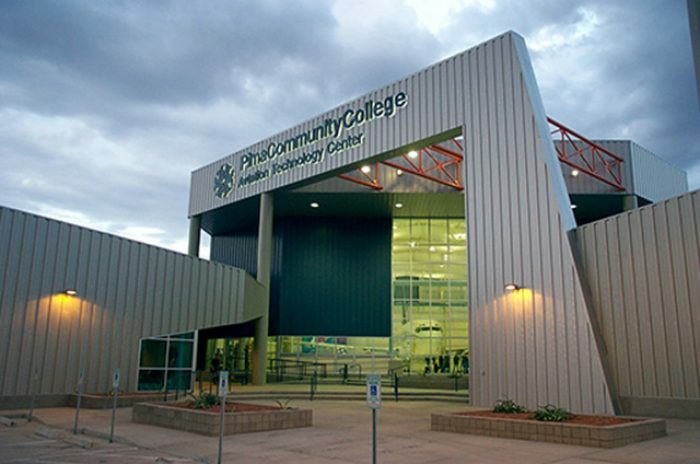 The Pima Community College (PCC) Aviation Technology Facility at the Tucson International Airport is unique for PCC in that it is the first independent building constructed off site from any of the College’s campuses. Changes in the certification of Federal Aviation Administration (FAA) aircraft technicians necessitated a new facility that allows the Aviation Program to meet the many new training markets. 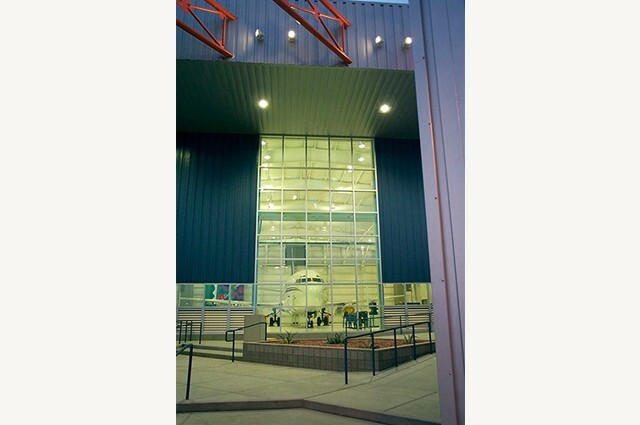 The curriculum is organized around students receiving instructions in the classrooms and moving into the lab and hangar spaces to work on their individual projects for heavy hands-on coursework. The use of transport category aircraft and components in an educational environment mirrors the look and feel of the industry. 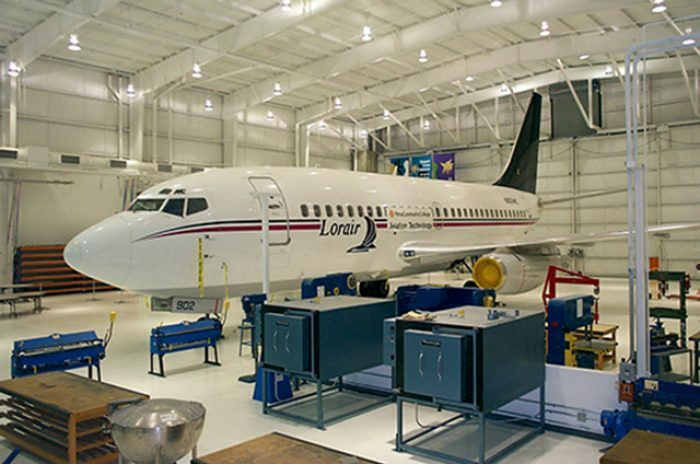 The new facility is designed to house a large Boeing B737-200 transport category aircraft for use as training aids. Large fuselage sections are placed around the aircraft for use by the Composites, Structures, Interiors, Avionics, and Aviation Mechanics labs. This facility gives the students a real industry setting with direct hands on instruction. The administration area, classrooms, and research lab is oriented at an angle to the front of the hangar set around an open court area providing a campus environment. 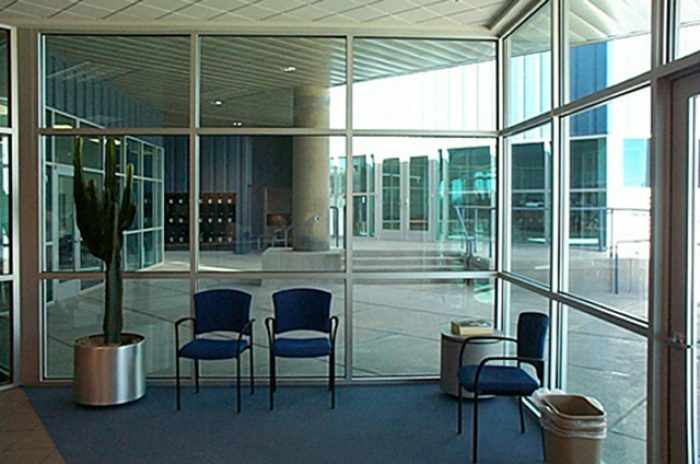 It also announces entry approach for the visitor. 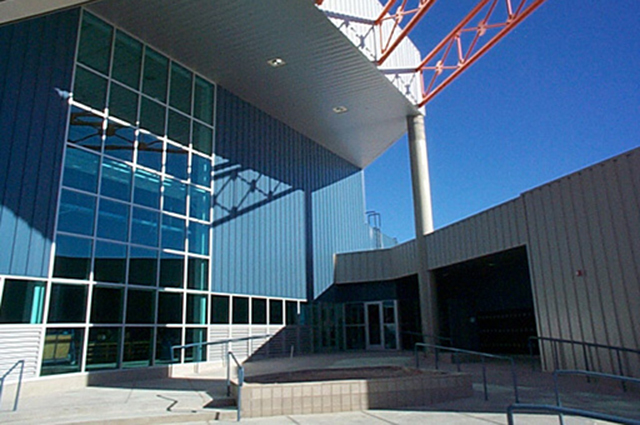 A large west facing window wall provides direct views into the hangar and has a large overhang canopy along with an extended “wing” feature designed to provide shade.